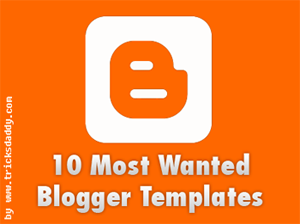 In this article, I am going to write about 10 most wanted blogger templates. These templates are best for technology blogs. If you are going to start a new blog or you want to give a new look to your blog, you will surely get a blogger template for yourself here. All of these templates are available free of cost. Shafarâ€™s last blog post..Make Money from your Blog with Performancing Ads! One thing I forgot to tell you that, the image you have added at the top is quite big, plz reduce the size and align it in center. 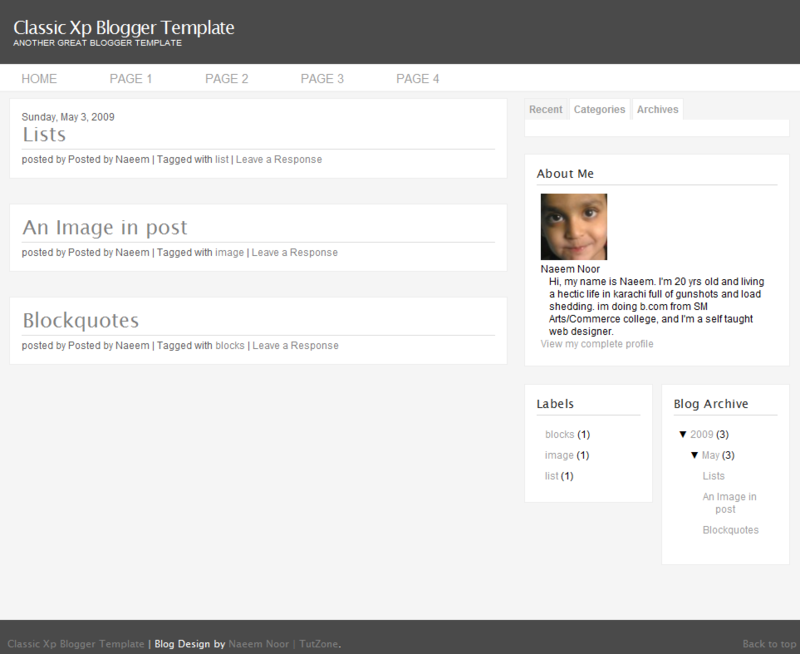 Ankitâ€™s last blog post..Comment here and win a premium theme for free! Call me a simpleton, but I like the basic black look. 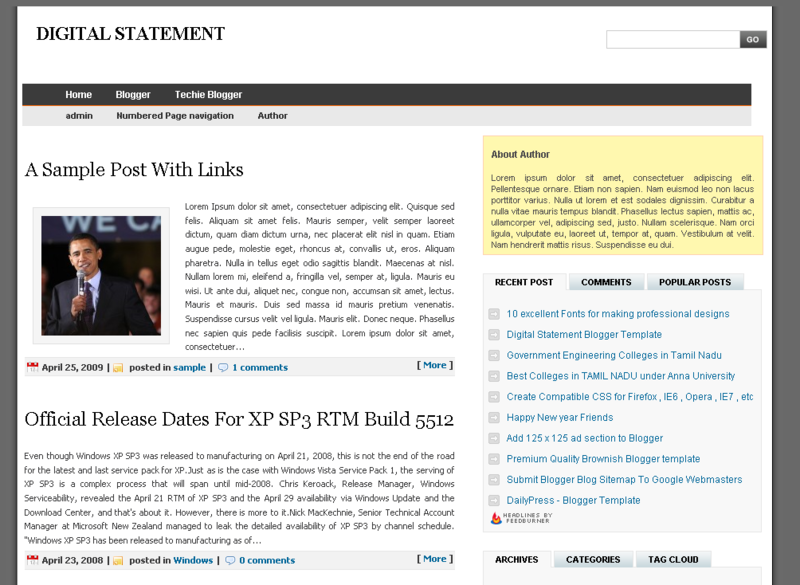 awesome collection dude.. thanks for including Digital Statement theme here..
You have done a great job by converting this template to blogger. 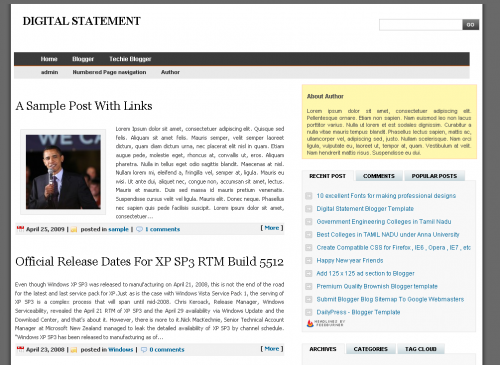 Digital Statement is a great professional blogger template. I Like the third one. Thanks for sharing. book marked it for future reference. But im already using Vista84 by Gagan , otherwise would use the magazine one.. 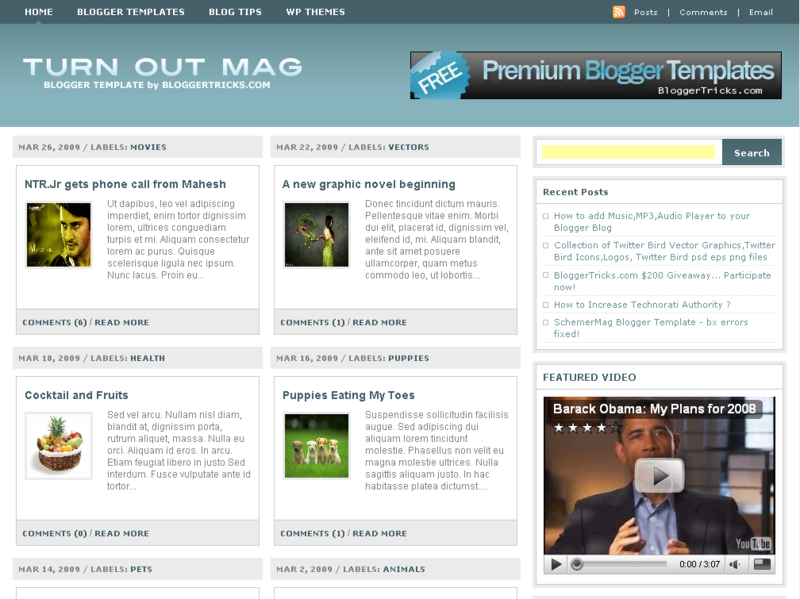 Thanks for the article and offer a free 10 most wanted blogger templates. 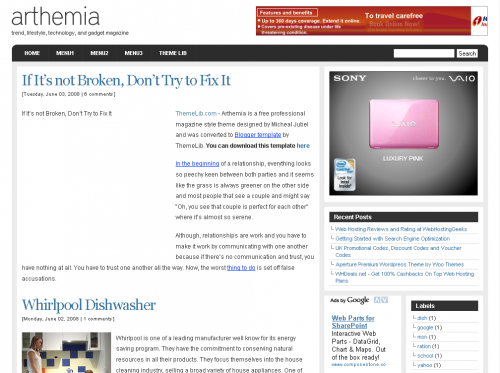 I like the Turn Out Mag Blogger Template,SchemerMag Blogger Template and Classic Xp Blogger Template. 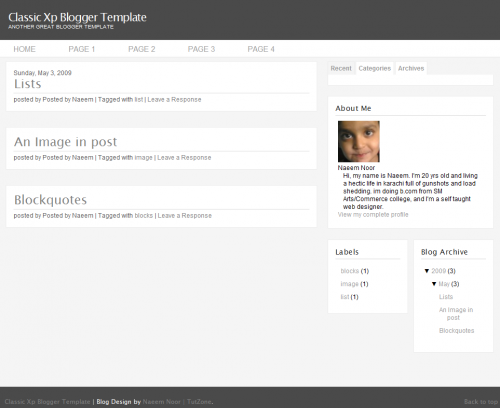 I would like to use it for my blog. 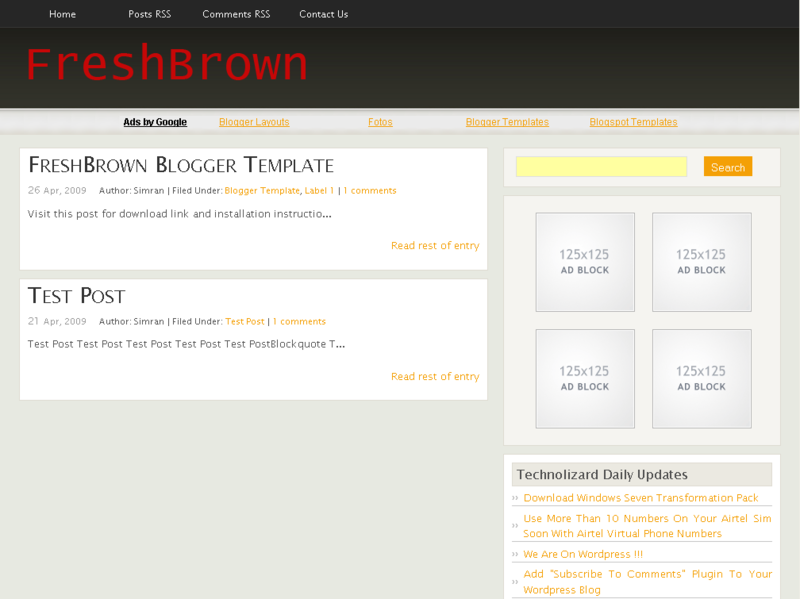 .-= SAER´s last blog ..Instructions for Premium Blogger Dashboard Template =-. 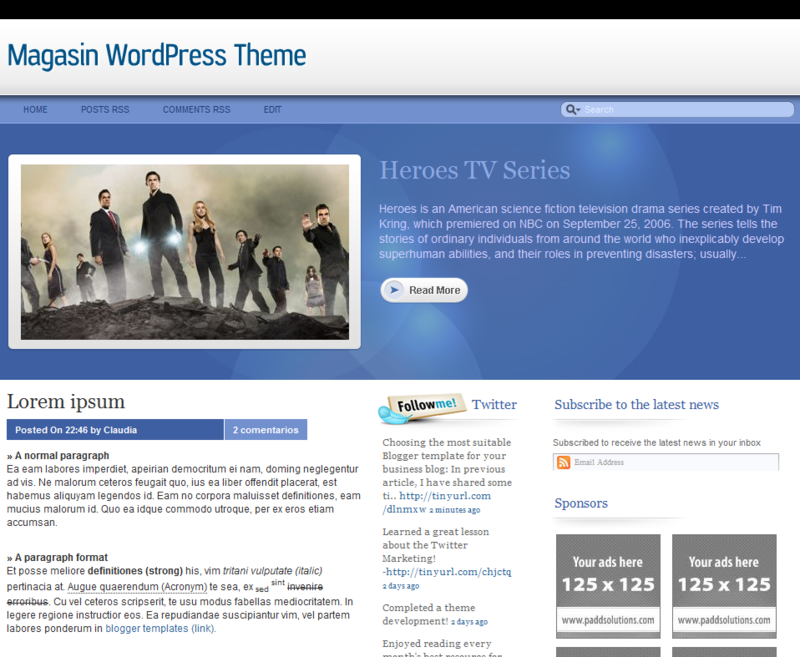 Last night I downloaded a wordpress template. 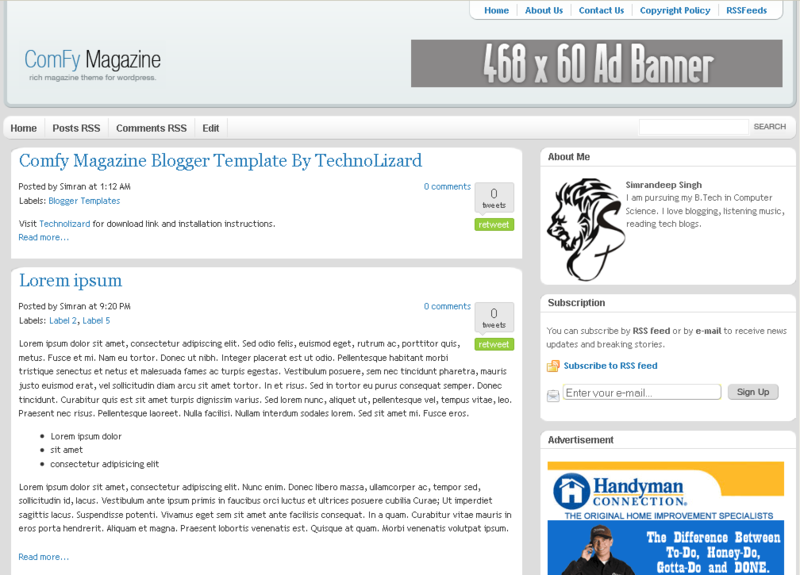 the website claimed that the template is the best SEO template. .-= mr.eims @ healthaware´s last blog ..Influenza Like Illness – warning signs =-. Nice collection. Really liked all of them. .-= Amal Roy´s last blog ..Enlarge Images Without Loosing Quality â€“ 4 Excellent Tools =-. Hello, great list and ace site. .-= Dan´s last blog ..Snowboarding DX =-. I’ve always liked Arthemia and the Revolution theme but these others offer some variety for the dedicated blogger. Much appreciated. 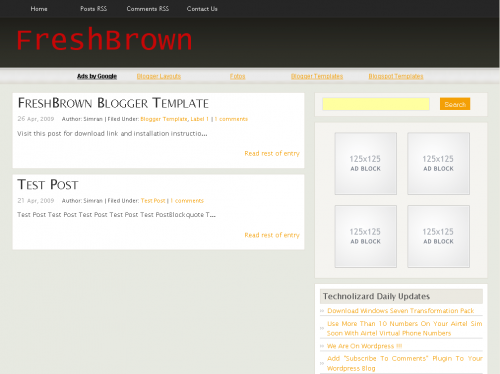 Awesome Blogger Templates…. 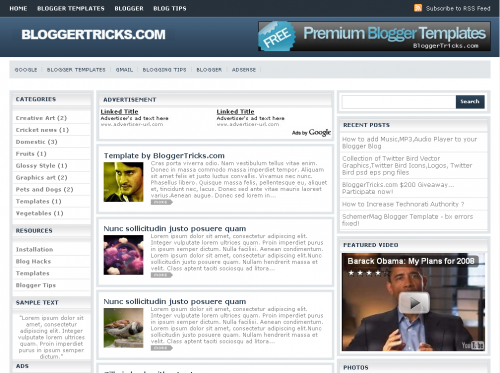 Are the totally friendly with the blogger widgets…?? is it SEO friendly template ? 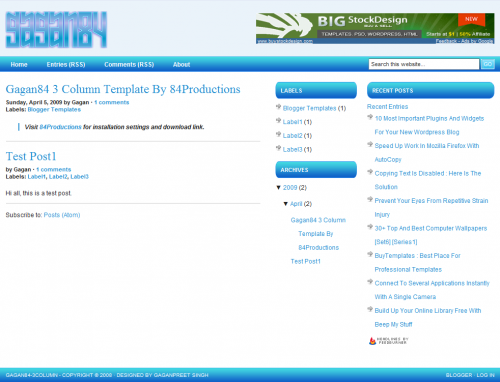 excellent template……. .-= dedi isnaini´s last blog ..Download mp3 Gratis-Free Mp3 Lagu Anak-anak =-. Thanks for sharing the beautiful themes. .-= Blog4Boys´s last blog ..Mallanna (2009) â€“ Dubbed â€“ DvDRip â€“ XviD â€“ VideoSongs =-. The templates are just rocking. Awesome Post dude. It was very usefull. 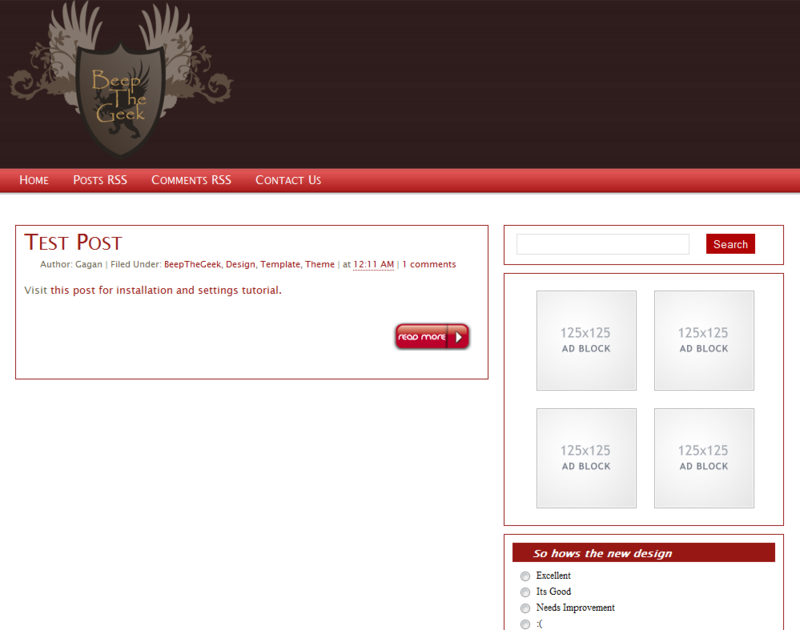 Your blog is looking too good ! 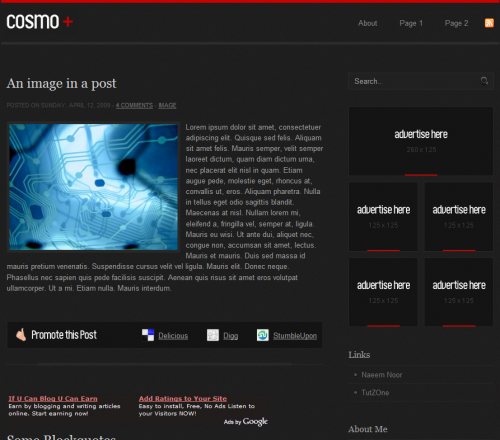 .-= Rockstartemplate.com´s last blog ..Shiny Black CSS Template =-. Nice Collection.. i am going to select one from here..
all themes are exxxxcellent.Im searching(ed) these type of themes,found today on your sute.Great thanks.I installed comfy mag theme on one of my blog http://www.twitipz.blogspot.com,im facing the problem is “read more” appears in the end of the post.Please provide solution for use this great template on my blog. .-= ajeet´s last blog ..New Super Mario Bros wii Cheats Star Coins =-. .-= Better casinos online´s last blog ..Online Casinos Baccarat Strategy, Tips, Secrets and Hints =-. Your template deserves to be in this list. It’s a well designed template for blogger users. 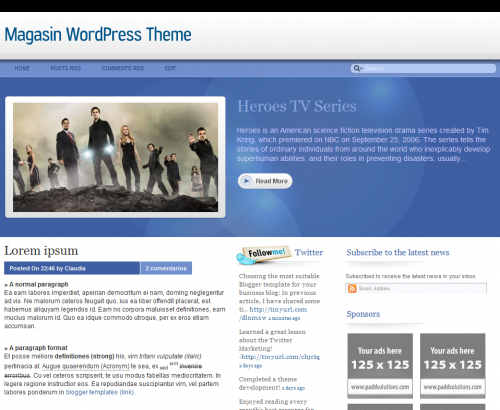 I like your template and I also want to convert it into WordPress theme. arthemia template is cool.. very good. Thank you..
no doubt.. fantastic selection. Thanks a lot! Simrandeep @ Bhai your last theme – Pro Magazine Blogger Template is not visible . Do check your uploaded image once again . This is very informative blog. All the templates are very cool . I don’t know before this. Now i try them in my blog.